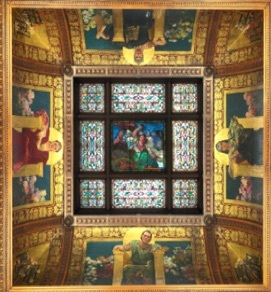 For nearly half a century, Serpentino has built a reputation for unsurpassed excellence in stained glass restoration. 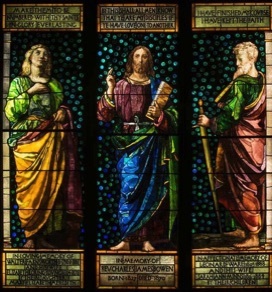 From a tradition of European craftsmanship handed down from generation to generation, Serpentino has become known in restoration circles as a company you can trust to give your windows the careful treatment that will return them to the condition the artist intended. 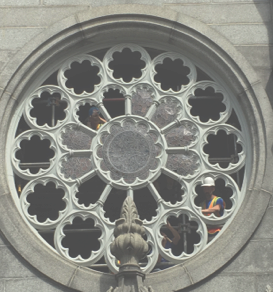 Serpentino's skilled craftsmen treat every window as a masterpiece - from complete documentation of each piece of glass, to dismantling, to cleaning, repair and restoration that meets the standards of the (CVMA). Serpentino's principals work closely with clients to give them a knowledgeable and honest appraisal - educating them on the condition, the history, and the techniques that will be used to restore their windows. 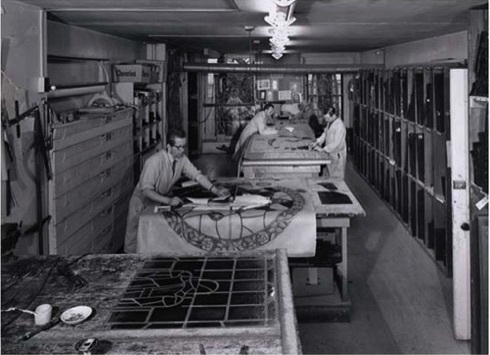 In the spirit of historic preservation and conservation, Serpentino believes that in most cases, less is more. 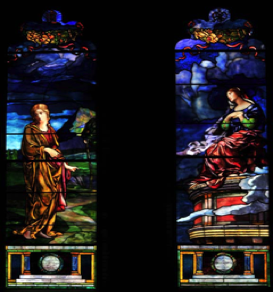 Serpentino has an in depth knowledge of stained glass, a knowledge of the craft that extends from the great cathedrals of the Middle Ages to the most modern technologies and materials that can be found today. 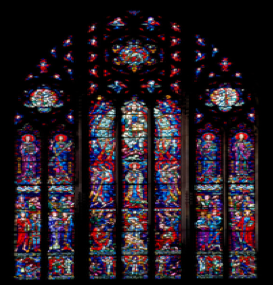 Serpentino has restored many priceless windows by European and American masters. 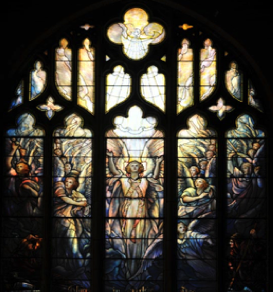 To help you understand the process that Serpentino will apply to your windows, the following pages describe some of the art and science of stained glass window restoration.